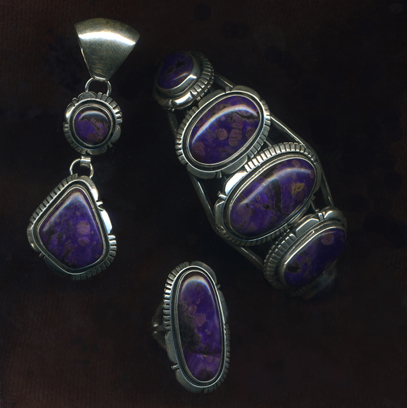 It is a unique energy, and richness of earthly magic that we strive to bring forth with these truly one of a kind wearable jewels. 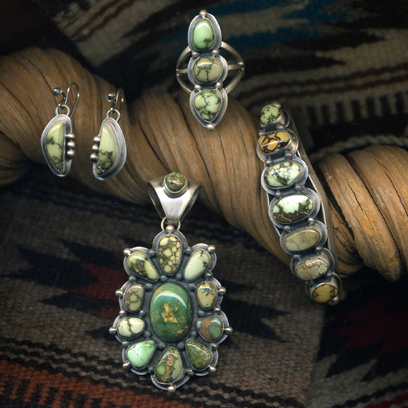 Our creative vision stems from a long rooted tradition of the finely crafted Native American jewelry in the west. 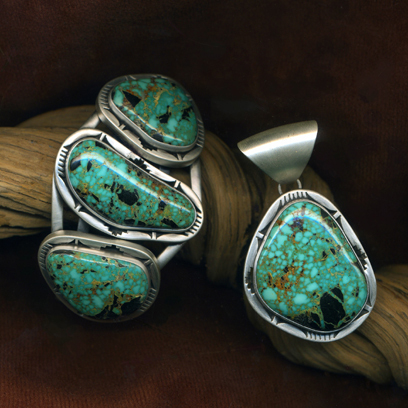 Golden Fleece Trading Co. - Pulsating Blue Turq. 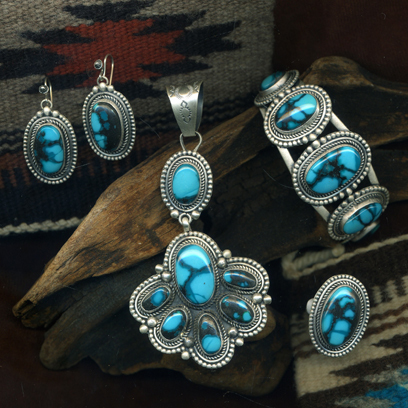 Pulsating Blue Hubei Turquoise Multi piece set. 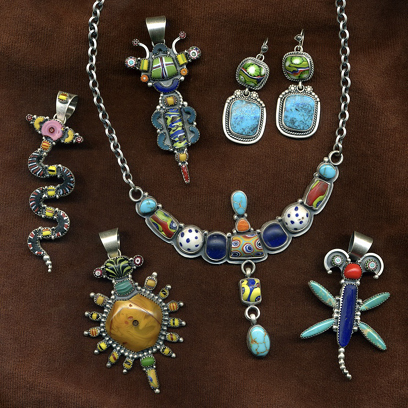 Venitian Glass Trade Bead Fantasy Collection Sampling.